I've been hearing stories of such 'mama's girls' too; I mean, being close to parents is one thing. Revealing everything about your family life .....especially when you no longer live with them (not saying it's ok if you're living with them,....just emphasising the other part) is perhaps a tad too much. And perhaps, parents need to know better too. Yeah parents and children both need to see the impact they are having on each other's lives. Too much? I've heard of cases where daughters discuss "bedroom talk" with their mothers. Yeah, epic facepalm I know! The reality is that Mama's boys & Mama's girls exist. I agree it's important to strike a balance once you grow up and move out. While it's tough for many people to find themselves doing things on their own, it's necessary to cut the strings and get your feet wet. I am mixing up two metaphors but you get the picture. Sigh, but in my depression phase, I completely cut out my parents. I know I'd have been better off and recovered faster had I just picked up the phone and called. Ah well, you live and learn. It depends on the situation too, I suppose. Getting the balance right is so important. In your case, reaching out was the most important things to do. In such situations it is important to let the close ones inside. I want to know who did you meet recently? I am with you. I love my parents but not to the extent of Mama this and Mama that ;) My parents have also given me space not just when I got married but much before that. They have a life too. Hahaha. This is something that has been on my mind since ages. Parents need their space and need to give their children that space too. I am very close to my parents and discuss everything with them, for the simple reason that when I do that I am ensured that whatever i discuss stays between the 3 of us and the fact that they give me the right advice. The line is very important, here. Ah! The post I came here to read! I've always been of the opinion that discussing every minute detail of your married life will only cause problems in your marriage. 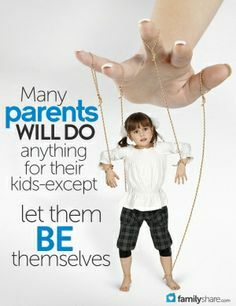 Parents hardly ever let go, but it is up to them to not feed their expectations or hang on to their strings. It's a funny thing about Indian parents, especially - if you believe Russell Peters, it seems there are some who even wanna know if you peed and shat in the morning!